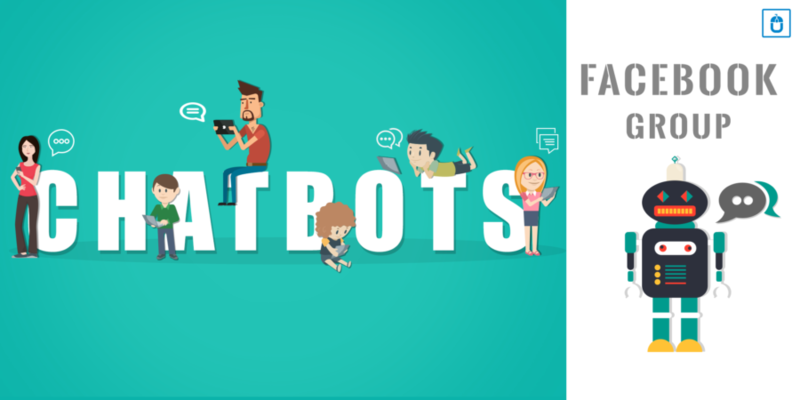 Facebook today has become a widely known platform for the different generation to connect with each other and the new chatbots which are likely to make an entry during the F8 are impeccable enough to impress anyone. Group chatbots although have not been confirmed by the Facebook officially yet, but we gathered some information from the reliable sources like Techcrunch to give you a clear picture of this upcoming Facebook feature. The new group bots can maintain users informed about real-time news, for an instance: sports activities game’s development, e-commerce deliveries and many more. To elaborate it further the Messenger team of soccer lovers would be able to add the sports bot to their thread and attain the every information about the game. The e-commerce bot would keep the workers updated about the status of their lunch delivery, and allowing them to track when their lunch pack arrives. These bots would help different industry sections as information bots and their functionality is not expected to depend only on the dialog. Although nothing has been confirmed from the Facebook yet, but the upcoming bot is expected to gain popularity amongst the audience to build their respective brand identity. There is no clarity on how bot would work and how customers would be able to find and add bots to the threads, but whatever it would be, it would certainly help a major section of the various business domains to gain benefits from. Due to the upsurge usage of the mobile apps, the expected technology of group chatbots would certainly be proven as a blessing to the mobile app users, helping the businesses also to mark a difference for their brand identity. If you are still looking for a top mobile app development company to build a perfect mobile app for your business, then Techugo is the right destination for you, since Techugo is a top mobile app development company. At Techugo, we take pride in developing the mobile apps for the leading brands to startups and our mobile app development team has the expertise to create a unique variety of mobile app solution for your business needs, which would help you to showcase your idea, goal, and dream in the most informative and engaging way. Our team of top mobile app designers is here to help assist you with every step of your mobile app development strategy. We consult, brainstorm, manage the project, design, develop, test, launch, and market apps in the best possible way.